Alteryx frees up analysts to look for insights. For a previous employer, most of my work revolved around a monthly reporting package. 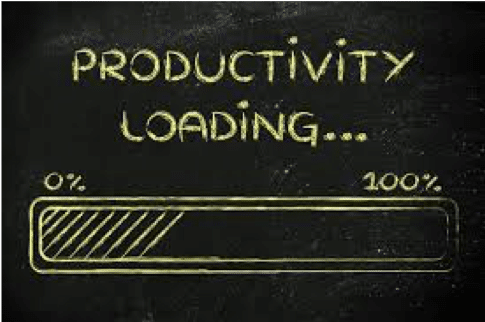 With Alteryx, I was able to create workflows to do the repetitive tasks. I was able to do more with my time. I was able to answer more questions and help the business more. Alteryx allowed me to automate the things that were taking up hours. With Alteryx I could instead I could focus on the big questions. I had more time for the things that could make a difference. Alteryx enabled me to bring more value to the company. I could do more and provide more. A friend of mine told me about revolutionizing her job with Alteryx. At first, she spent most of her time downloading data, and then shaping into the format that the needed it to be in. Using Alteryx, she was able to free up 40 hours a week. Yes, go back and read that again. She saved 40 hours a week with workflows. She created workflows that automated most of her job, enabling her to get involved at a strategic level in her company. I helped a co-worker learn how to do Time Series, which is a type of very advanced statistical analysis. He came back to me, incredulous. “Is this all there is to Time Series?” he asked. He loaded his data and chose which type of model was best for it. He applied the model and forecasted out the results. With a few simple steps, he was able to use Time Series. Alteryx makes basic statistics approachable. Actually, it makes a whole lot more than just basic statistics approachable. A company doesn’t need someone with 10 years of experience in R to be able to get value out of the packages within Alteryx. I’m an economist by training, so I live in the world of Linear Regression. I worship at the foot of an R squared. But for a recent project we needed machine learning. Using Alteryx, I put together an Ada-boosted model. Machine learning isn’t my specialty. I was able to interpret the results and make some recommendations. 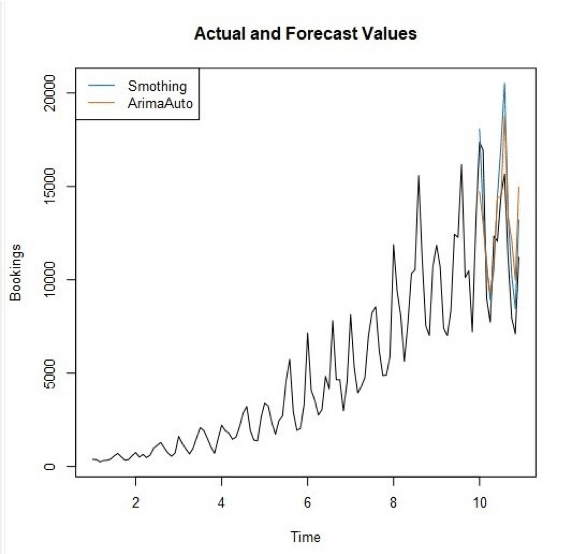 I have no clue how to run an Ada-boosted model in R. If I had to do that in R, it would take me weeks to figure out what to do. I figured it out in a few hours in Alteryx. I run an internal Alteryx User Group for Saxony Partners, teaching and expanding our Alteryx skillset. One of my newbie Alteryx users had a business problem that he used Alteryx for. Using the download tool, he created a call that imported data from FRED, the Sears Catalogue of Economic Metrics for the United States. He used this to pull in a variety of economic indicators that were then visualized in Power BI. Alteryx is seriously easy to learn. It means that a business doesn’t need to hire someone with five-or-more years doing SQL, or seven-or-more years prepping and blending data. Alteryx puts the emphasis on analytical thinking. Of course, an Alteryx Ace can make Alteryx run even more efficiently – that, or an Alteryx Grand Prix driver (such as myself)! Experienced talent is always going to get more out of the software. Alteryx has connectors. Like, they have millions of them. When our data management team decided to include Azure Blob storage, and AWS S3 in our offering, I doubled-checked on both. Alteryx connectors already exist. Okay, no problem. I can still do all my work. Sure, I support cloud data management. That works for me! Modern data architecture, here I come! Alteryx enables businesses to connect Salesforce with Teradata. Or maybe you need to connect Hadoop with some shape files. Alteryx allows your people to string together all the data sources they need to get at the insights that are needed. And if Alteryx doesn’t have the one you need, there are more in the community. Or you can write your own API within Alteryx to reach into whatever data source you want. The Alteryx data package is to die for. I have not plumbed the depths of the Alteryx data. I probably haven’t even scratched the surface, to be honest! One of our property management companies wants to know what the educational attainment is at a location they are looking to purchase. No problem, I can get that data! Or, maybe a retail company wants regular reporting on the median income within a two-mile radius of their locations. Alteryx has data, tons of data. From the Experian package about purchase behavior, to the Census data about populations, there is almost nothing Alteryx can’t tell you about the United States population. Maybe you want to know about businesses and need access to the D&B data. It is truly astonishing the data that is available with Alteryx. As an adult, I never even realized there were people who specialized in geospatial data. There are people who got paid to create maps, and help companies understand how the demographics around them relate to their business. I just never knew! I’ve always been curious about geospatial data, but never had a chance to work with it. 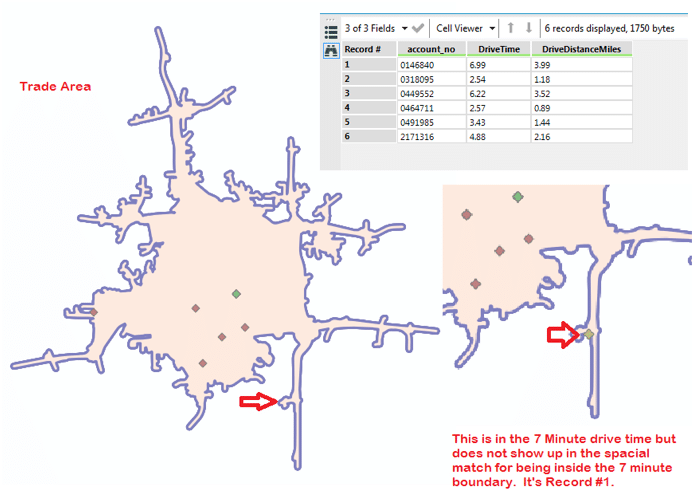 I can make sense of geospatial data in Alteryx. I can do some analysis. I can draw a trade area and analyze the demographics within that trade area. I’m not a trained geospatial analyst. I’m just a person who loves maps and loves data. And with Alteryx I’m able to bring some serious value to my company.